What do you do when the other side is not honest, hiding information at best or actively misleading you? A few years ago I hired a contractor to do some work. The contract was clear, and in writing. The work was 95% done, but there was some cleanup work that still needed doing, but the contractor wanted final payment. So we made a punch list of final items, which I emailed and he agreed to do, in writing, and I gave him the final payment. Nothing but your reputation, I guess. After two more months of haggling and missing my own work, I hit a turning point. The amount of billable work I was losing had already added up to four percent of the initial project cost, so I hired someone else to do the cleanup – for about two percent more. Aside from refusing payment until the work was done-done, what else could I have done to negotiate? Before walking in the room, I needed a Best Alternative To a Negotiated Agreement, or BATNA. “Negotiations” that happen without a BATNA, such as a salary negotiation without another job offer, aren’t really negotiating at all – they are a kind of begging. That is what I was reduced to with my contractor. 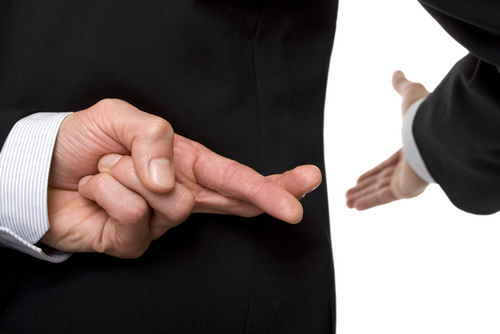 If you really must have that 10% raise or else – then you’d better be prepared to have an or else in mind. For me, the or else was either to hire someone (which I did pursue) or to call a lawyer. This single issue holds up many employee negotiations on price, schedule, role and responsibilities. Even if you say “I can’t commit to those dates, they are yours, not mine”, and put it in writing, and are correct, then you look from the outside like a non-team-player, and possibly a saboteur. Once you have a BATNA (and if you don’t, lower your expectations), we come to deal with the difficult situations. In the past, I have been told that a clause in a contract the other side gave me was unenforceable (after the fact), or that while the contract specifically said X, it was unreasonable and I should have known to not expect it. What you do in that case is take the other side out of the picture. You, after all, know the market rate. You know what your own costs are. You know how long it will take for you to do the work, and what the alternatives are if you don’t land it. This is true for buying a car, a computer, hiring a home remodeler, negotiating a salary, or, at some enlightened companies, bidding the schedule to manage a project. Come up with your number that is fair to you, propose it, and, if it is not accepted, walk away. The benefit of this system is that it minimizes haggle time. Quote a rate, hear a yes or a no, move forward or don’t. If the client objects that your quote is too high, you walk away – which is exactly the right thing to do when dealing with someone you suspect of bad faith. Sometimes, walking away can be a pretty good BANTA. In order to work the system I outlined above, you need to have a wealth of options. Projects or managers you can transfer to, car companies that are selling models that are good enough, possible employers. In that world, if you get a bad deal, well, another will be along soon enough. You just have to be able to say no. There is one other option that might be worth considering: Principled Negotiation. While a car deal might focus on one price, there are plenty of deals that have many sides. If the salary is too low, the company could give you six weeks of vacation to start, guaranteed training, or allow you to work from home. 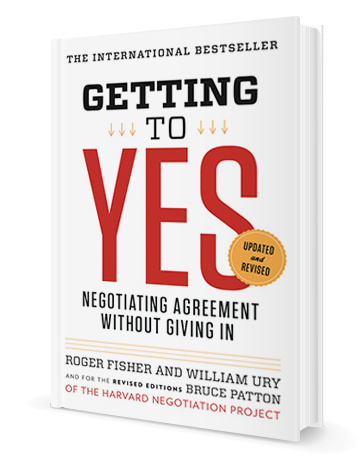 In their book Getting to Yes, Roger Fischer and William Ury give a name to this idea that “to give something up, I get something”, calling it Principled Negotiation. On an IT project, Principled Negotiation appears anytime someone says “We could hit that date if we drop A, B, and C.” That is a trade-off. Sure I can drive into the office, if you pay me $20,000 more per year. Yes, we can get offer a slight training discount – if you pre-pay and work around our schedule. In my experience, Principled Negotiation drives bad faith players nuts, because they want something for nothing. They don’t want to give up anything to accomplish their objectives – instead, the bad faith negotiator wants to bully you. The more reasonable your tradeoffs, the more unreasonable your reply, until you get the point. Sometimes the negotiator has been trained to “get” something – they want to “win.” In that case, I might throw in a 5% discount, the big tradeoff being the hassle of the negotiation will end. If that doesn’t work, I pull out my BATNA, and go to the next opportunity on my list. Get working on that list, and you’ll probably do fine.